Open ears make for an open mind. You may not know it, but that intense, tingly wave of goosebumps you get when the song you’re listening to crescendos in the third chorus has a special name: frisson. Not be confused with fission (the process by which we split atoms), or Frizzle, the red-headed driver of the Magic School Bus, frisson is the name for that unique chill brought on by an emotional response to stimulus, whether it be a beautiful piece of music or the dramatic climax of a film. 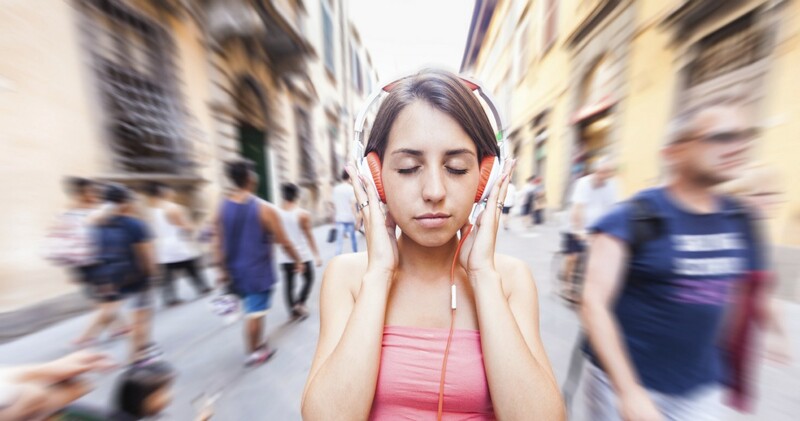 It’s a phenomena experienced by about two-thirds of the population, and the results of a recent study conducted by students at Utah State and Eastern Washington University suggest that not only are those who experience frisson more cognitively attuned to music, but they may also be more open to new experiences. Researchers measured the level of frisson experienced by gauging changes in the electrical resistance of the skin (i.e. goosebumps), as well as by having subjects indicate when they were experiencing frisson by pressing a button. They compared the response with the subject’s degree of “Openness to Experience.” The results proved there is a positive correlation between the two. Previously, research was only based on emotional response, but this study argues the people who experience frisson might be better attuned to music, too. More importantly, the study found people who experience frisson may also have a Fantasy-Prone Personality (FPP). While correlation doesn’t always indicate causation, if people with high levels of FPP in their personalities are proven to be more prone to frisson, it means one could induce the sensation just by thinking about it. Being able to get goosebumps on command? It’s the superpower we’ve always wanted.